Discussion in 'Black Hat SEO Tools' started by greenleaf4u, Dec 6, 2010. OK so I have updated my internet connection from 20mbs to 60mbs, but see no difference in speed when using my SB, well now I only have used posting, but is there someone that can correct me if im wrong???? need to know if this can go faster or if the posting will improve buy faster internet...???? in feb I will get fiber 360mbs and hoping this will help alot. Also can it be that when having better speed on internet that more postings stick??? did you set the connection to max? nope but maybe I should since i now have alittle better connection? well I saw a few hours ago that when testing blogs that stick on SB it went alot faster since my upgrade, also posting goes around 4 times faster, but stil the same rate in % of the ones that stick without using private proxys I stil need priovate proxys and since I dont have verified paypal I dont know where to find. These results tell us that it does not matter how large or small your country is. The technology can be anywhere. In comparison to United States (U.S) on area basis, these countries are nothing. But U.S. in no where in the Top 10. United states have only download speed of 6,198 kbps. Korea's broadband speed is almost 3 times than that of United States. One other thing that can be causing posting failures is your DSL modem. Mine would lock up every day and eventually, I burned up the cheap Motorola modem SBC supplied me because of too many simultaneous connections. I had to buy a Cisco ADSL router to handle all my outbound connections. 3. Speed and memory of the dedicated machine. Does this make sense in terms of where to invest in SB performance? well Iknow they never give what they say, but here in Portugal they have fiber 360mbs and il take it in jan..... then what it give in the end i dont know...but it is better then the 60mbs fiber i have now. One thing to consider is the inbound connection limit introduced in some service pack for XP, it was 10. Uncapping that sped up things a lot when you were communicating with more than 10 remote computers at the same time which would apply when using more than 10 proxies. See if your Windows version needs to be set free in this regard. Also pay attention to your upload speed. You may have 234214 mbits down but for every packet you receive, your computer needs to send a much smaller packet acknowledging that. It basically says 'I got the info, send the next chunk'. The remote server will not send the next chunk until it receives that confirmation. If you can't send these OKs fast enough, your connection will stall. I've seen packages that offer 10mbit download and only 128 kbit upload. It is impossible to utilize such download speeds with so little upload potential. That is not to say you don't need good proxies, it's just that the bottleneck might be at some other point than what you expect. 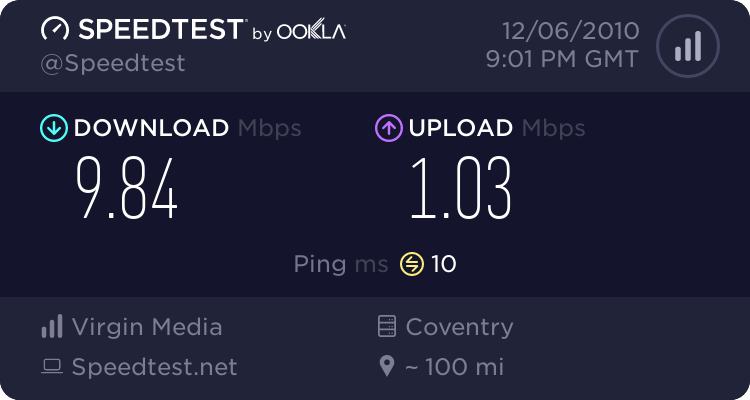 If my upload Speed is 370KB/sec, what are the ideal connection settings for me? Ofcourse they can get 360 mb Connection with fiber. Youll need also special router most likely ang 1gbs Lan card. Fastest connection you can get here is 200 mbs i guess. Well i doubt it can reach max speed but over 150 mbs for sure. Otherwise people could just host their websites at home.